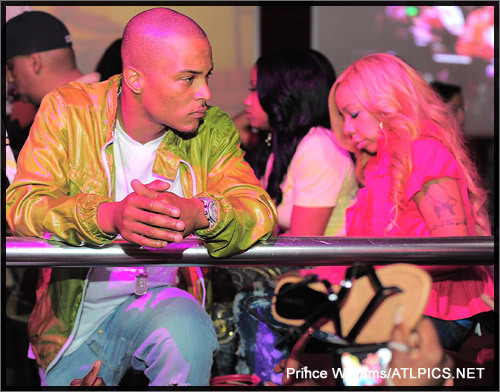 So there have been reports around the internets on some reputable sites, citing sources within TI’s camp who claim that before TI turned himself in on Tuesday, he tied the knot with his longtime girlfriend, Tiny. According to Tiny, that is not true. She and TI are not married. it was too good to be true, he ain’t never gonna marry her. Miss Info mythbusters needs to be a weekly show, who agrees? I did’nt think this was true but, for her sakes I hope he put a ring on it one day. How does Wayne do it? Love Potion No. 9? tiny gotta pig nose and fuggin uglayyyy~! u know he gonna screw hotta chics than that ole bag. lil wayn’e ex, now she hot! I agree wit u shid let it be known it would be a hit series!! !